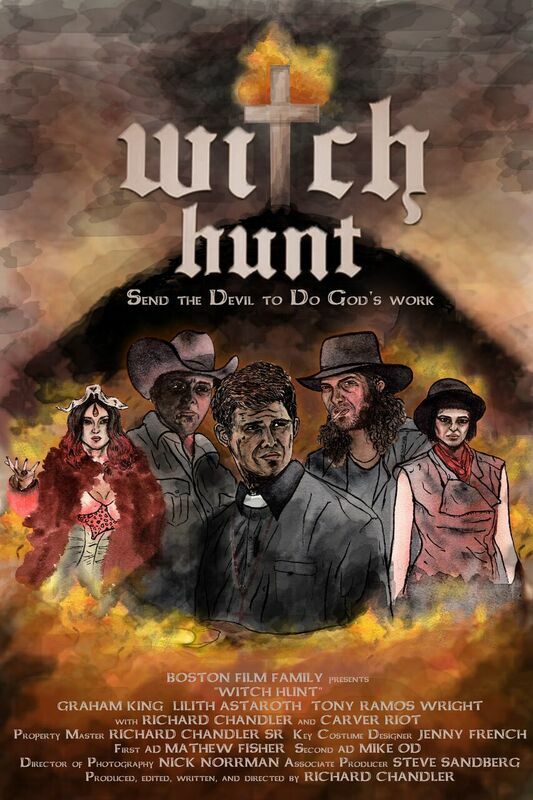 Check out the trailer for Witch Hunt. The film is on Blu-Ray and DVD on August 14 (USA). LC Films will release writer/director Richard Chandler's (Gilgamesh, Lilith Trilogy) WITCH HUNT on August 14th on BluRay/DVD combo pack. The film stars Graham King, Tony Ramos Wright, Lilith Astaroth, and Richard Chandler. WITCH HUNT combo pack is currently available to purchase at LCFilmsOnline as well as a limited edition LC Films Rewards Members combo pack with exclusive artwork limited and numbered to only 20. A wider single disc release is coming in the fall, as well as a major VOD release.